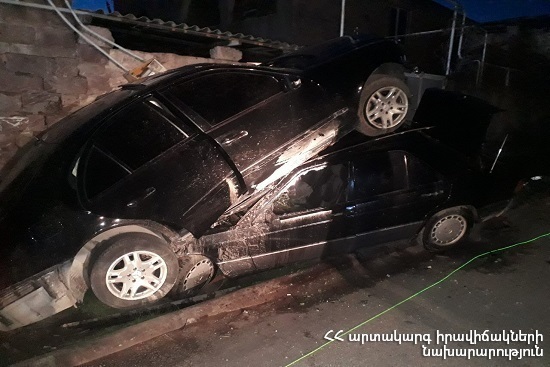 On April 12, at 19:48 information was received to “911” service that a car accident had occurred near the municipality of Byurakan village of Aragatsotn province: the rescuers’ help was needed. It turned out that “Mercedes” (driver A. Gh. born in 1986) and “Mercedes” (driver G. M. born in 1982) cars had collided. There were no casualties. The rescuers disconnected the automotive batteries and closed the gas valves of the cars.